Final Inspection of products at the end of the production line is the last line of defence to detect any foreign bodies before shipping to retailers and supermarkets. The type of packaging being used and the potential type of contamination dictate the type of inspection system which should be used. Inspection equipment for food is primarily used for the purpose of consumer and brand protection. Despite the very greatest of care during production processes, the risk of foreign body contamination of the food products cannot be fully excluded. Contaminants that enter the product during the production process or are introduced in the raw material may cause serious injuries to consumers and damage other production equipment. The consequences for the manufacturer can be grave and can include compensation claims and recalls. In addition, contamination can lead to the loss of consumer trust leading to negative impact on brand image. 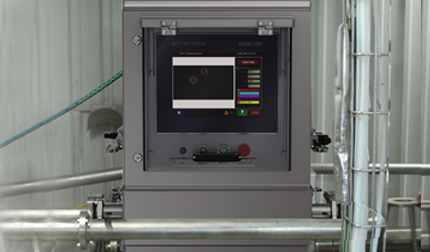 Modern contamination detect equipment can be installed at every step of the production process. Inspection of raw material has the advantage that foreign bodies are detected and ejected before they are potentially broken down into a larger number of smaller pieces which might be harder to detect. Inspection at critical control points (CCPs) during the production process is a requirement for all food safety standards and should be an important part of any effective product inspection programme. Discover how the X3000 Series of x-ray inspection systems is capable of detecting physical contaminants such as metal, glass, mineral stone, calcified bone and high density rubber and plastic in a wide range of food, beverage and pharmaceutical applications. The X3000 Series is the most versatile range of x-ray inspection systems on the market, offering a solution for individual inspection needs, regardless of the products format. The range of x-ray systems safeguard bulk, loose, pumped or packaged products from various contaminants including glass, metal and calcified bone to ensure high levels of product quality and outstanding food safety. Ensuring a product leaves the manufacturing facility free of contamination and ready for sale to the customer is crucial but ensuring brands are protected against distributing substandard product often requires product integrity checks to be conducted in addition to contamination detection. The X3000 Series of x-ray inspection systems are capable of simultaneously performing quality control checks including, counting components, checking fill levels and checking for damaged packaging, offering complete product safety. White Paper: How do X-ray Systems Find Contaminants? Discover how x-ray inspection is finding and rejecting physical contaminants within products at high speeds and regardless of where on the production line the system is installed. Creating a well-designed product inspection programme is most effective when x-ray technology forms part of the overall solution. This industry paper explains how manufacturers can minimise the risk of foreign body contamination. Discover how Profile Advantage metal detection technology overcomes product effect to detect smaller metal contaminants in challenging wet food applications. 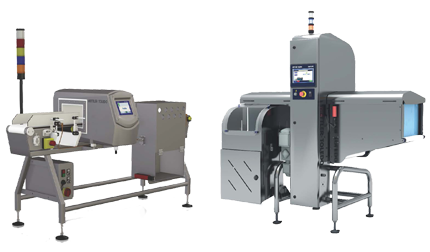 Profile and Profile Advantage metal detectors are the ideal solution for inspecting a wide range of food and pharmaceutical products, including packed and unpacked conveyorised applications, pumped liquids, pastes and slurries, gravity-fed powders and granules, vertical packaging applications, tablets and capsules. 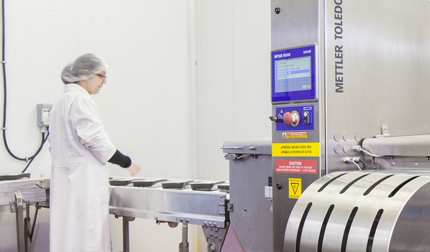 Fully automated rejection systems and due diligence enhancements ensure high levels of product quality and food safety. Advanced Profile and Profile LS metal detectors are suitable for dry product applications, minimising the risk of contaminated products reaching supermarket shelves and costly product recalls. Profile and Profile LS metal detection systems can be fully integrated with production processes to inspect packed or unpacked products on conveyorised production lines, gravity-fed powdered and granular products and free-falling products ‘in-flight’ as part of a vertical form, fill and seal process. Profile Advantage metal detection systems use Multi-Simultaneous Frequency technology and Product Signal suppression to overcome product effect. With Profile Advantage you can achieve up to 50 percent improved sensitivity on challenging applications irrespective of packaging type. Solutions are available for both conveyorised and pipeline applications. Watch this video to discover how METTLER TOLEDO Safeline's proprietary 'Reduced Test' mode technology can deliver up to 83% less routine performance monitoring testing in high volume, dry applications. By ensuring the metal detector is working to or better than the required specification, the frequency of routine performance monitoring can be significantly reduced, leading to improved OEE. 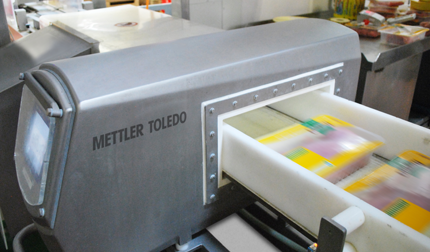 METTLER TOLEDO Safeline metal detection systems can help food and pharmaceutical manufacturers to comply with the strictest food / pharmaceutical safety standards and regulations such as GFSI-based schemes (BRC, IFS, FSSC, SQF), GAMP, and FDA requirements including the latest FSMA regulations. In the food industry many of the products being inspected for metal contamination exhibit a phenomenon known as 'Product Effect'. This white paper helps the reader understand Product Effect in metal detection by showing how a metal detector works, identifies the types of product to exhibit this phenomenon and what the latest solution available is to limit the effect. 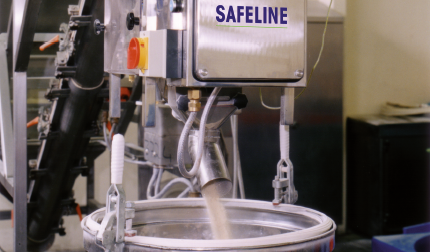 The Safeline Metal Detection Guide is the definitive industry guide for all those involved in understanding and implementing metal detection equipment and technology. 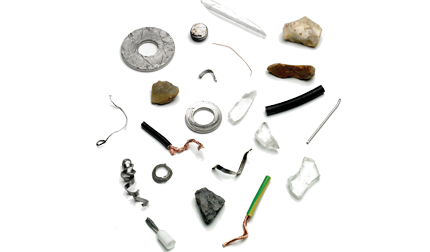 This Guide provides a thorough insight into all aspects of metal detection best practice.